Jocelyn Green inspires faith and courage as the award-winning and bestselling author of numerous fiction and nonfiction books, including The Mark of the King; Wedded to War; and The 5 Love Languages Military Edition, which she coauthored with bestselling author Dr. Gary Chapman. 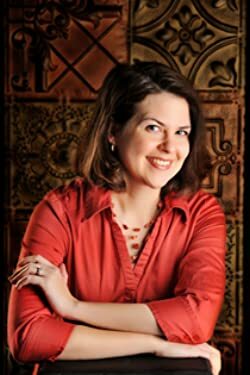 Her books have garnered starred reviews from Booklist and Publishers Weekly, and have been honored with the Christy Award, the gold medal from the Military Writers Society of America, and the Golden Scroll Award from the Advanced Writers & Speakers Association. She graduated from Taylor University in Upland, Indiana, with a B.A. in English, concentration in writing. Jocelyn lives with her husband Rob and two children in Cedar Falls, Iowa. Visit her at http://www.jocelyngreen.com. Sometimes I feel like book blurbs give books a little too much credit. Sometimes I feel like they are over-sensational and very promising, yet when I pick up the book it does nothing but let me down. Well, not so with A Refuge Assured ! That’s why I included the blurbs and editorial reviews on my blog post, because they are all entirely accurate. This is truly an amazing read. I’ve never really understood the history of France around the American Revolution time period, the persecution of lace makers to be exact. I know that this is historical FICTION, but it really gave great, truthful, insight into what it was really like in France during those dark times. I thought the characters were real and genuine to the time period, plus the different cultures they were from. I did feel as though I could predict the book, but that didn’t take away from enjoying my reading experience in the least. Green’s writing is SUPERB, and I can honestly say that I enjoyed every page. Hopefully by now all my readers know that I can be a pretty critical judge of the Christian Historical Romance/Christian Romance genre of books, so I hope that by me saying this is a great read will hold some water. As an artist, that rang true in my heart. 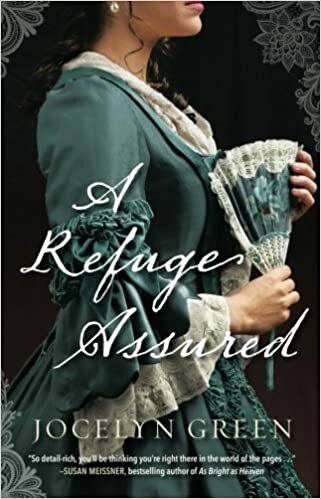 You can get your copy of A Refuge Assured here. I received a copy of this book in exchange for my honest review from Bethany House Publishers. All opinions stated above are my own.